​On November 11, 2017, Gary Sharp Gammill went ro his eternal home to be with our Lord. He was born on September 19, 1949, in Pine Bluff, Arkansas to Juanita Sharp and Cecil A. Gammill. At a young age, his family moved to Hazen, Arkansas where he attended school and graduated from Hazen High School. He attended the University of Arkansas at Fayetteville and graduated with a BSBA degree in accounting in 1971. He sat for the Certified Public Accounting exam the second semester of his senior year in college and passed all four parts of the exam the first time he took it. 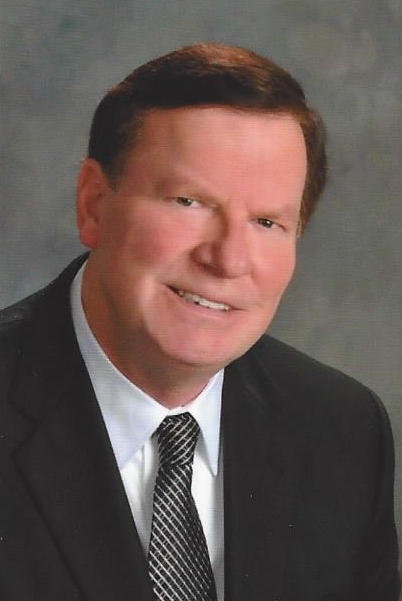 After working for other accounting firms throughout the beginning of his career, he eventually opened his own firm in Hazen, Gary S. Gammill, C.P.A. He was a member of the Hazen First United Methodist Church where he served on the Board of Trustees, the Finance Committee, and the Pastor-Parish Committee. He was also a member of the Hazen Chamber of Commerce, elected Business of the Year, and he was elected to the school board for Hazen High School where he served 11 years as the Treasurer and then as the President. In 1970, he married Durinda Gordon of Helena, and they were married for 45 years. He leaves behind his two daughters, Lee McAhren (Camron) of Springdale and Helen Shirron (Stephen) of Sheridan. He is also survived by three grandchildren, Garrett Pieroni, Madison Shirron and Regan Shirron; his brother, Randy Gammill (Margaret), and his sister, Cecily Norman (James). Visitation will be from 4:00 to 6:00 P.M., Sunday, November 12, 2017 at Westbrook Funeral Home in Hazen. Funeral services will be 10:00 A.M., Monday, November 13, 2017 at the First United Methodist Church in Hazen with burial in the Hazen Cemetery immediately following the service. Because of his love for German Shepherds, in lieu of flowers, donations can be made to the Arkansas German Shepherd Rescue at http://germanshepherd.rescueme.org/Arkansas or to That Church in Sherwood, 901 Kiehl Ave., Sherwood, Ar. 72120 where he faithfully attended church the last few years of his life. Julie Lanelle Bennett, age 70, died October 29, 2017. A native of Carlisle, Arkansas and longtime New Orleans resident, Ms. Bennett was a retired social worker. Preceded in death by her parents, D.K. and Lorene Bennett and brother Kenneth. Survived by her nephews Gary Bennett (Tern) of Little Rock and Mark Bennett (Kathy) of Cabot, Arkansas. A visitation will be held Tuesday, November 14, 2017 from 5:00 to 7:00 P.M. at Westbrook Funeral Home in Hazen. Funeral services will be held at a later date in Carlisle, Arkansas. Condolences may be left at www.schoenfh.com. Arrangements by Jacob Schoen & Son Funeral Home. Lawanda “Ruth” Hudgens of Des Arc passed away peacefully from natural causes at the age of 82 on Wednesday, October 25, 2017 in the home of her granddaughter, Autumn Ridge, surrounded by her loving family. She was born in Des Arc, Arkansas on March 5, 1935 to Nellie Francis Smith Rogers and John Fred Rogers. She was a devoted mother, grandmother, great-grandmother and friend who is survived by her two daughters, Vicky and Debbie Hudgens, 5 grandchildren, 13 great-grandchildren, two sisters, Annette Knowles and Betty Thurmond, and two brothers, Freddie and Donnie Rogers. She will be joining her mother, Nellie and father, Fred Rogers in heaven, as well as her 3 sisters, Joe Harvey Rogers, Mary Sue Holt, and Anita Rogers and her two brothers, Darel Rodgers and Rodger Dale Rodgers. Ruth was a woman of God and was very passionate about spreading the word of Jesus Christ the Lord, her savior. She truly loved the Lord with all her heart. She was the sweetest woman you could have ever possibly known. She was always ready to serve others never asking for anything in return. She will truly be missed and will forever and always be within our hearts. Funeral services will be 2:00 P.M., Saturday, November 4, 2017 at the Westbrook Funeral Home Chapel inHazen, Arkansas. Visitation will be from 1:00 to 2:00 prior to the service. Burial will be in the Hazen Cemetery.